Bingo operators are constantly trying to come up with new quirks and gimmicks to make their version of the game stand out to customers. With the total number of bingo sites available to players in the UK now standing at over 360, it has never been so important to have good marketing, and if at all possible, a unique selling point. Over the years we have seen various attempts at creating USP’s. There have been sites launching with a charitable dimension, often pledging to donate a certain percentage of ticket sales to a charitable cause. This approach has worked with varying levels of success. However, really if someone wishes to make a charitable donation, why not just do it directly? 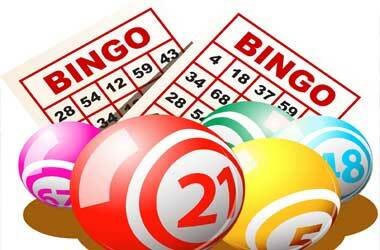 Other approaches have involved special features within the bingo software itself. One network recently introduced a little gizmo called the ‘Streak Buster’. This little feature allows players to collect stars each time they have a loss on the bingo. Filling all the spaces with a star means a free game of bingo and hence the chance to ‘bust the streak’. Many brands rely on elaborate, high value promotions, such as the chance to win a holiday or even a car. We have seen brands such as Sun Bingo regularly giveaway Fiat 500’s and lavish holidays to exotic destinations, all very well for those with the budget! Another less cost intensive approach is to setup a spinning wheel, which offers a variety of different bonuses. We are not sure which site ‘invented the wheel’ but nowadays just about every bingo site has one, a decent list of spin the wheel bingo sites can be found here. The spinning wheel is most commonly used as an incentive for players when they sign up and is generally offered as part of a welcome package on their first deposit. Other sites have taken the spin wheel and employed it as a feature designed to keep players visiting on a regular basis. The Live Bingo Network have implemented this particularly well. If you sign up there you will be invited each day to come and spin the wheel for free, in order to win some free slots spins on bingo tickets. The popularity of spinning wheels amongst players is so high that the owners of the 15 Network decided to launch a new network called ‘The Wheel of Slots Network’. As the name suggests, the USP of this network is that new players have the opportunity to spin the wheel for a range of high value prizes, such as spins on slots games and bingo tickets. The concept seems to be going down well with players as this network is set to rapidly expand in size. So, where the spinning wheel comes from, we are not sure but it seems fair to say that it is set to last.